← Sooke Philharmonic Orchestra launches 21st season with Young Masters, October 27 and 28. I remember when I was a teenager working in my father’s service station. On the day of the first snowfall our customers would be lined up in the driveway to have their winter tires installed when we arrived to start the day. We did nothing but install tires and our air compressor didn’t get any rest until after we had shut the bay doors and left for home. It seemed like no one ever put their winter tires on ahead of time. Today there is no guessing. On B.C. highways that are marked with signs requiring winter tires the date for having them installed is October 1. Incidentally, that is also the day that studded tires become legal to use on the roads as well. Before October 1, keep an eye on your thermometer. 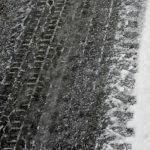 Once the temperature dips below 7 degrees Celsius when you are driving, true winter tires become the better option for traction whether there is snow on the ground or not. Chances are good that the tires you drive on every day meet the bare minimum requirements to be considered a winter tire for the purposes of these signs. It’s rare to find a tire that is not marked M+S, but don’t be lulled into a false sense of security as that M+S marking doesn’t mean much when it comes to describing traction capability. If you want the best traction in heavy snow and ice conditions a true winter tire that is marked with the mountain and snowflake symbol should be your choice. True winter tires should be installed in sets of four, all with similar tread depth of at least 3.5 mm and correct pressure according to the vehicle’s tire placard which is usually found in the driver’s door opening of your vehicle. Beware that the traction of any tire becomes reduced as it reaches the minimum tread depth. In fact, you may want to consider if the legal minumum tread depth is enough for you. 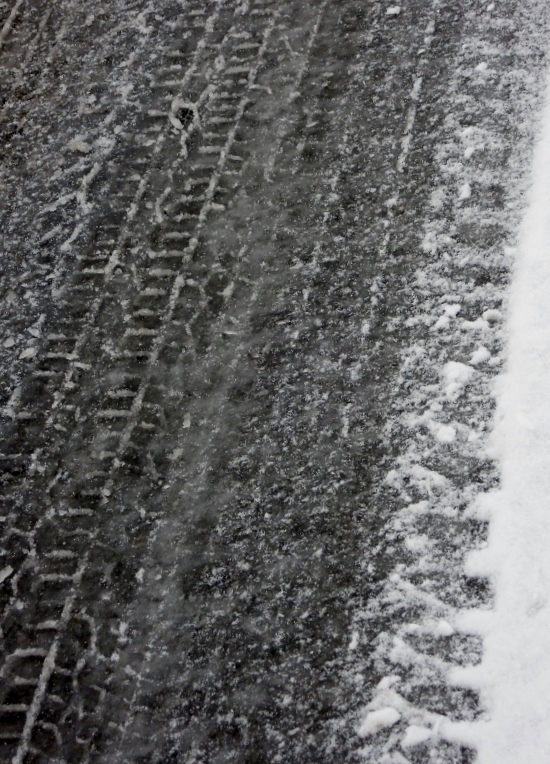 Speaking of traction, you should also keep in mind that the true winter tire is designed for driving on ice and snow. When you are driving on pavement that is only wet or dry, you handling and braking distances may not be the same as they would be with an M+S all season tire. Adjust your speed and following distance accordingly. Will you be renting a car as part of your winter vacation? Beware that these vehicles often do not come with true winter tires installed. You would be wise to inquire and make arrangements with the rental company well ahead of time. Fortunately, there was never a spring rush at the service station to have winter tires removed. Customers decided on their own when to remove them and some even had us pull the studs out so that they could continue to use their winter tires all year around. April 1 is the first winter tire free day on posted highways. You may continue to use the winter tires from here until next October 1 if you wish to, but this is not a good choice. Winter tires wear faster in non-winter conditions and should be removed when temperatures are consistently above 7 degrees Celsius. Studded winter tires must be removed by April 30 each year.